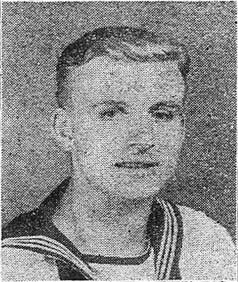 "FORTY, JOHN M., ABLE SEAMAN, MID"
FORTY, Able Seaman, JOHN MAURICE, Mentioned in Despatches, D/SSX 33216. H.M.S. Kandahar Navy. 20th December 1941. Age 19. Son of Frederick Jesse Forte, and of Lena Emma Forty, Gloucestershire.